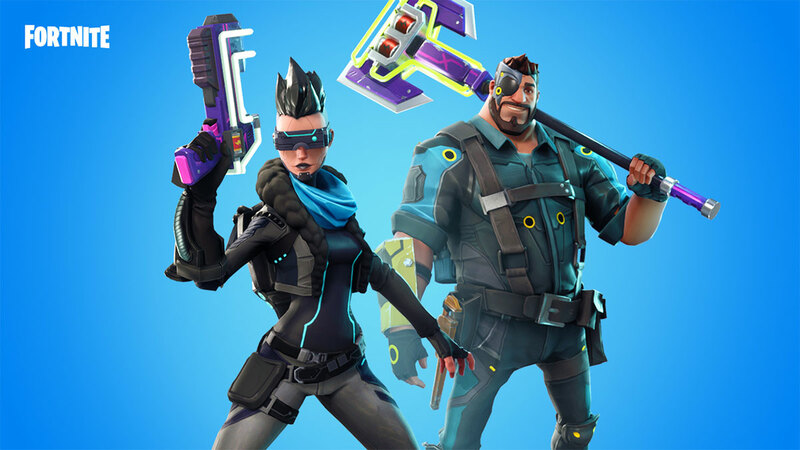 Epic Games has today announced that Fortnite is receiving a new update, taking the game to version 3.5.2 with that update rolling out now. 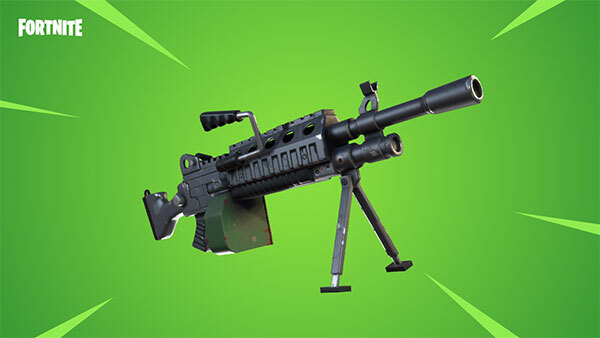 The update brings with it a host of changes including a new Light Machine Gun weapon, bonus XP and Battle Pass star changes ahead of Season 3’s conclusion. Changes to game modes include a new 50v50 v2 Limited Time Mode which is actually an altered version of one of the original modes. The mode will only be available for a limited time although it will obviously include 50 players taking on another 50. The current Season 3 of the ongoing Battle Pass will come to a close in a couple of weeks and Epic has something new for those who are going to complete this pass. This begins with double XP that will run from April 19th through 22nd. This will theoretically allow more people to gain the Best Buds emote and the super awesome John Wick skin thanks to the fact that each level gives users more Battle Pass stars. If you’d rather cut corners, 10 tiers can be bought for 900 V-Bucks, achieving the same thing but with less work needed on the player’s part. 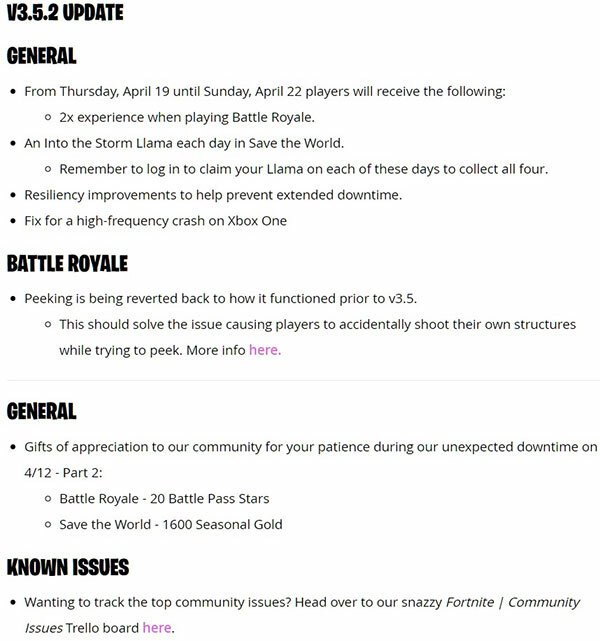 This is all helped by the fact that everyone is also going to receive 20 free Battle Pass stars thanks to the infamous downtime that Fortnite experienced last week. The updated game can be downloaded now with the full patch notes outlined below for those who like to get down and dirty with the details. Both Fortnite and competing shooter PUBG have been in the news almost constantly over the past few weeks, and the constant stream of updates to both games is a factor in that. Support for games and indeed apps is often a deciding factor in their longevity, and both Fortnite and PUBG seem to have things right so far.